OTTAWA – Clerk of the Privy Council Michael Wernick has been facing calls from the opposition parties to resign, and now there are new questions about his role on a high-level panel responsible for deciding when and how to inform Canadians about concerning online behaviour during an election campaign. 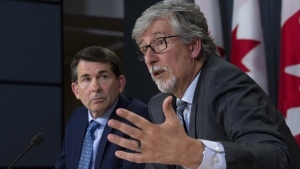 The most senior bureaucrat in the federal government has been in the media limelight over the last few weeks due to his involvement and interjections in the ongoing SNC-Lavalin scandal. Wernick is scheduled to testify for the second time on the SNC-Lavalin affair on Wednesday, following his eyebrow-raising first appearance. 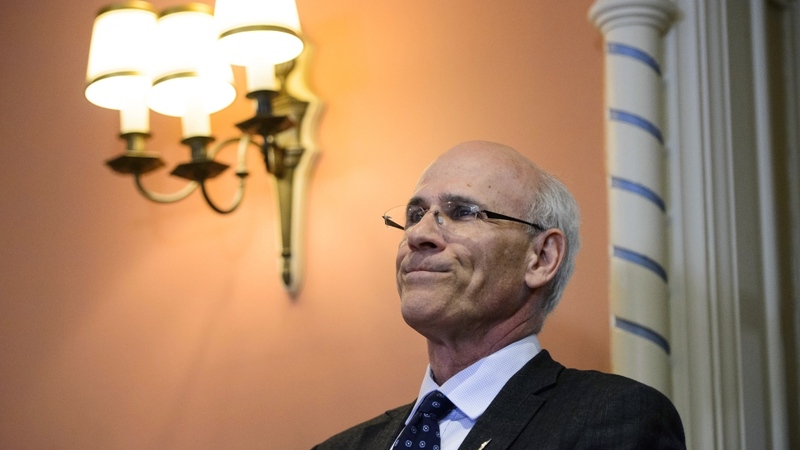 Now, it's the role that Wernick is set to play in the 2019 election campaign and how this scandal could bleed into that position that's raising new questions. 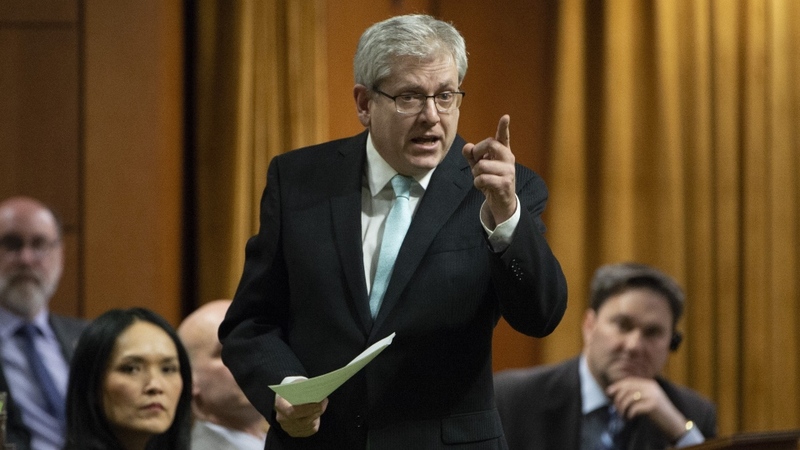 On Monday, NDP MP and ethics critic Charlie Angus sent an open letter to Prime Minister Justin Trudeau saying that Wernick is "deeply compromised," has "overstepped his role," and he cannot remain in his position. "I urge you to ask for his resignation immediately," Angus wrote. When he testified before the House Justice Committee that is studying the SNC-Lavalin affair on Feb. 21 he offered off-topic opening remarks on the state of online discourse, partisanship and the prospect of political assassinations. Then, facing questioning from MPs, offered a series of comments that the opposition saw as biased in favour of the Liberals and, in their view, indicative of him crossing the line with his involvement in conversations about SNC-Lavalin. Former justice minister and attorney general Jody Wilson-Raybould then directly implicated him in her Feb. 27 testimony, alleging he was one of the senior officials who referenced Quebec jobs and political fortunes in their arguments for reconsidering a remediation agreement for the Montreal-based construction and engineering company. The core objection Angus raised was Wernick's involvement in the SNC-Lavalin scandal, though, he also said he is troubled about Wernick being one of five senior level non-political government officials who the federal Liberals have decided will be responsible for making the call about alerting the public to serious cases of foreign interference during the next federal election, scheduled for Oct. 21. This panel — comprised of: the Clerk of the Privy Council, Canada’s National Security Adviser, and the deputy ministers of the Justice, Public Safety, and Global Affairs departments — will be overseeing the "Critical Election Incident Public Protocol." Should an instance of foreign meddling or another interference attempt arise, it will need to meet the threshold of being serious and "disruptive" enough to have an impact on Canada's ability to hold a free and fair election before this group takes further steps. If it is a serious enough case, the group will inform: the prime minister; all registered political parties; and the public about the threat and steps they may need to take, through a press conference. The intention of having bureaucrats being the ones to make this call is to keep it impartial. The objective is to inform people if needed, without being seen to be interfering in the campaign. It was announced in January as part of a series of measures aimed at further shoring up Canada's electoral system, and enhancing Canada's readiness to defend the democratic process from cyber threats and disinformation. Angus said Wernick remaining in his position will leave that panel open to political challenge "and that's not good for the electoral system," Angus said. "There will be enormous pressures if something happens, if something is said that is considered possibly interfering with an election. You need all political parties, all Canadians to know that the person in charge of that is completely independent… Mr. Wernick cannot play that role," he said. Democratic Institutions Minister Karina Gould's office defended Wernick's involvement on this panel, saying that they have "great confidence in the integrity of Canada's public service." Her office also noted that Wernick has been a public servant under both Liberal and Conservative governments over the last three decades. In a statement to CTVNews.ca, Gould’s director of communications Amy Butcher noted that the panel is "expected to come to a decision jointly, based on consensus. If there is no consensus, there will not be an announcement." "It will not be one person deciding what Canadians should know," Butcher said. Conservative Leader Andrew Scheer and Green Party Leader Elizabeth May have both also called for Wernick to resign over the SNC-Lavalin scandal, and have cited his apparent partisanship as a troubling factor. "What I find very improper is the role of the civil service, the clerk of the privy council to whom all deputy ministers report… there’s a question of that improper use of the non-partisan, independent, expert civil service used in a very partisan fashion and I think that the clerk of the privy council should be fired," May said in an interview on CTV's Question Period that aired on Sunday.